45 minutes later . 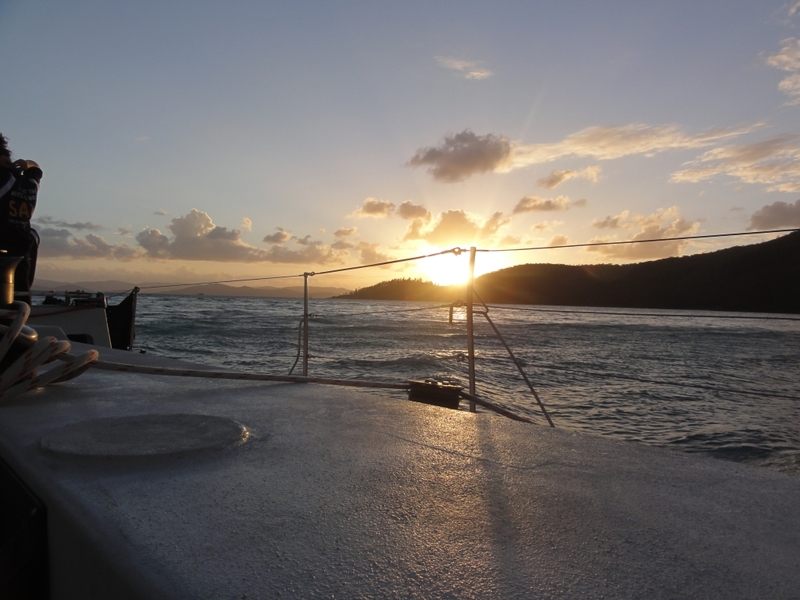 On to Airlie Beach. Here we were waiting for our sailing boats. Normally, only a sail boat is chartered, but this time there had been a lot of interest, therefore a small and a large were chartered. Condor and Hammer also organize periodically race between the Whitsundays and at the sea. I, and many of my favorite tour mates were on the “Hammer”. 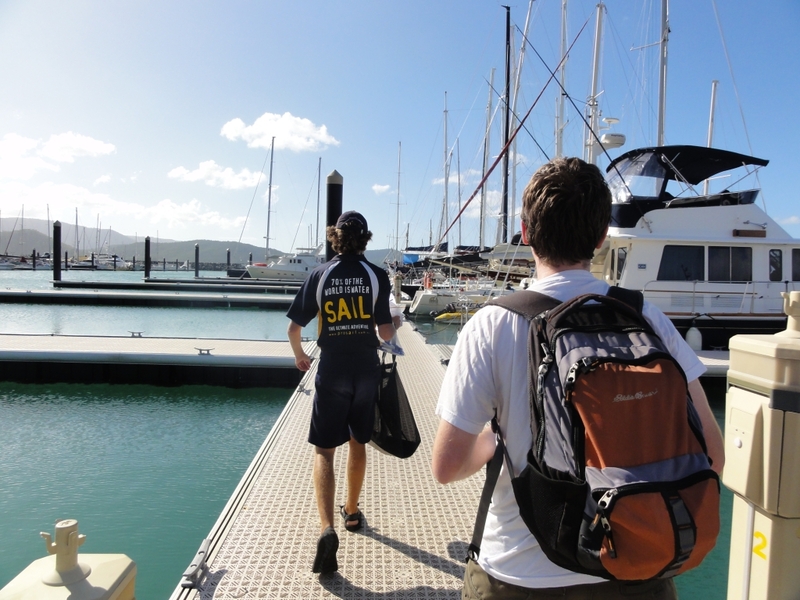 After we had stored our bags and we got explained the basics of sailing, it was going on already. First we used the engine to reach a point where sufficient wind was available. to the other side (“Attack”). We did that for about 2 hours every 10 minutes, until we came to a quiet little cove and laid anchor. Time for a snack. 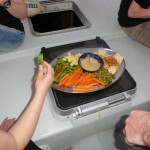 Before we went to the dinner, we ate this really delicious vegetables and crackers with a spicy sauce. The twilight set in, and we ate freshly grilled meat. 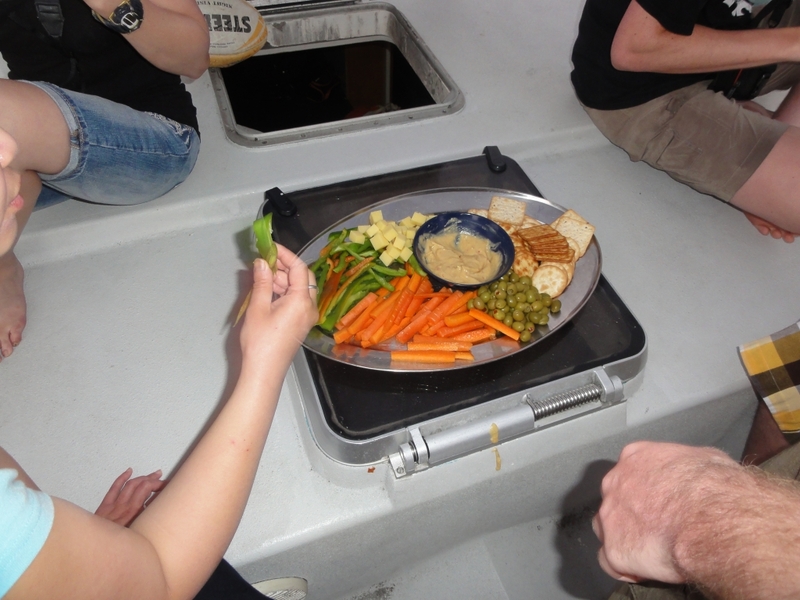 The captain grilled it on the bow of the boat. We enjoyed the clear skies of the night, with many stars and some cool drinks. 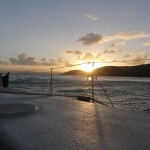 Then we went to bed, or rather bunk, because more sailing at sunrise!